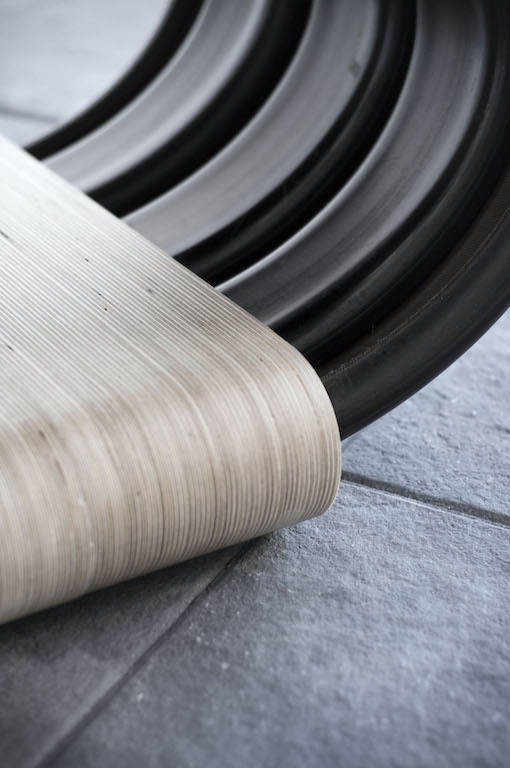 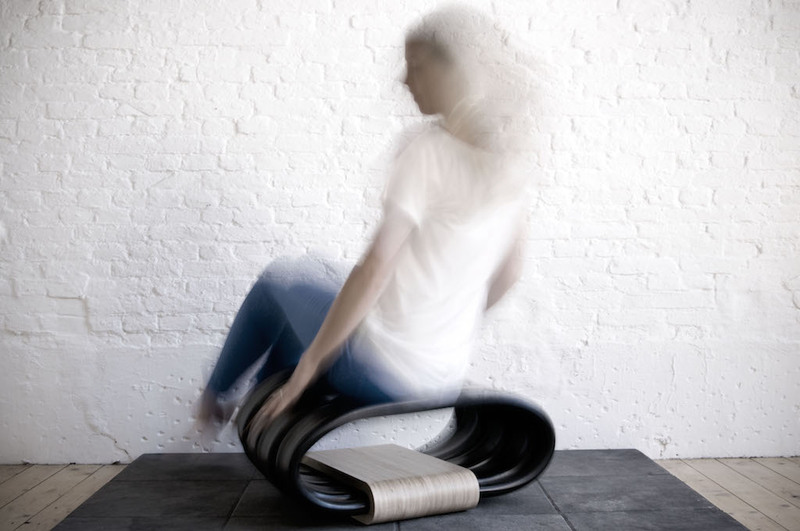 This active chair is made of recycled rubber handrails from escalators and moving walks. 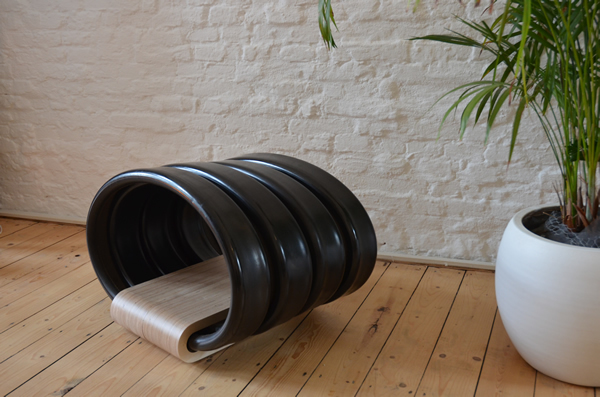 Because of the material properties of these handrails the Wobble bounces while sitting. 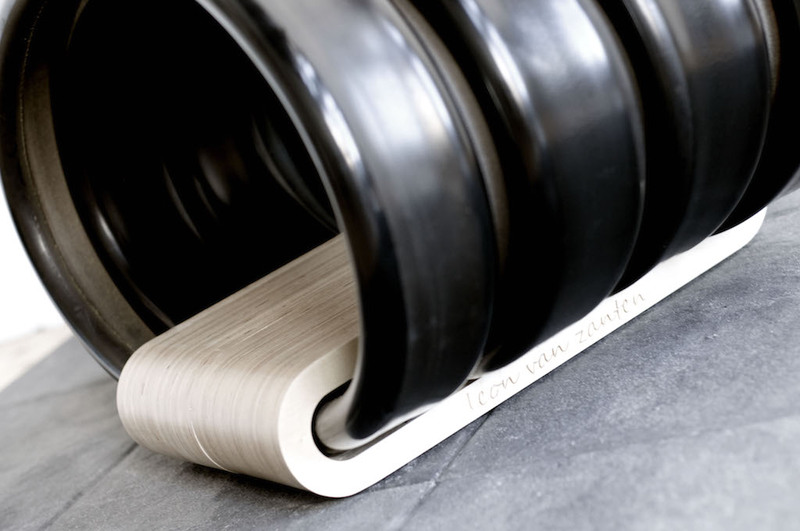 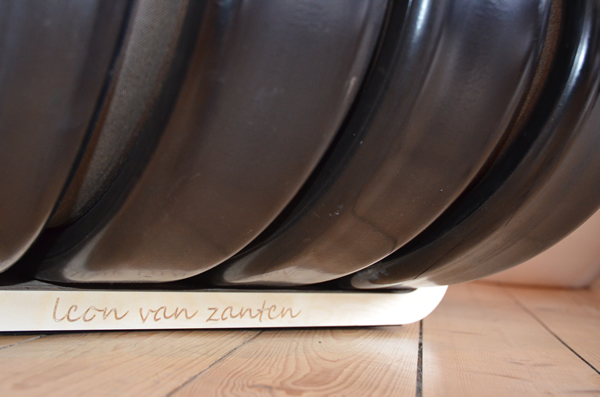 Combined with the wooden base it gives the Wobble a sleek, yet playful look.